The New York Daily News has an article profiling Sara Gore, one of the hosts of the upcoming “LX New York” show WNBC-TV is planning to replace the venerable “Live at Five,” that provides a glimpse at the show’s set. 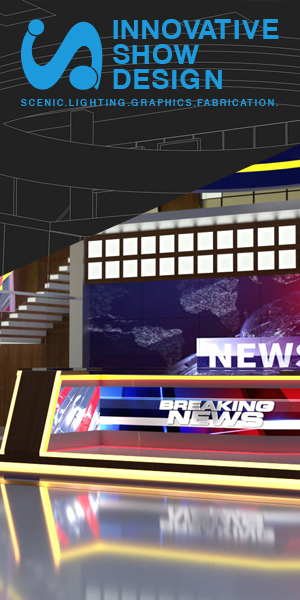 The design seems to take some cues from the station’s recently remodeled newsroom with the use of bright colors and clean lines. However, the colors have definitely been stepped up a notch on this set, which also is stocked with what appear to be flat panel screens and some RP cubes. Finishing off the look are hip light fixtures and a bart-style table, greenery and faux hardwood floors.